Grab one last bucket of popcorn for the final days of WorldFest-Houston International Independent Film Festival at Cinemark Memorial City through Sunday, April 14, 2019. 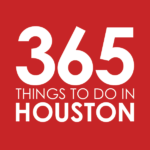 The 52nd edition of WorldFest-Houston nears its close with the final films screening this week through Sunday, April 14, 2019. Throughout these last days, film fans are invited to witness selections from the United States and abroad, with presentations of short films, feature-length submissions, and the final screenings of WorldFest-Houston’s Panorama China series. A treat to cinema buffs, many of the directors will also be on-hand to introduce the film and meet audience members afterward. Click here to see the remaining film schedule and purchase tickets. Since 1961, WorldFest-Houston has celebrated creative excellence in the emerging cinema of independent filmmakers from around the world. Now embarking on their 52nd year, the festival showcases the talents of countless individuals while offering seminars to future filmmakers. Cinemark Memorial City provides a luxurious experience to festival goers with leather lounge seating, 4K projections, and enhanced sound systems meant to translate exactly how these emerging filmmakers intended their films to be viewed. As for other festivities, VIP packages grant access to the Awards Gala and Dinner Reception, master class seminars, tours of the NASA Rocket Park, and more. The Houston Yacht Club will also host a regatta and barbecue to close the festival. All screening and festival events are open to the general public. Click here to read about VIP options. Tickets to the Opening Night Premiere are $20 for the film only or $30 for the premiere and admission to the champagne after party. Ticket prices start at $7.50 for matinee screenings (1pm and 3pm); $12.50 for all evening screenings; $100 for a VIP Film Buff Pass which is good for any 11 admissions (not including Opening Night); $200 for a VIP Silver Screen Pass which includes all screenings (and Opening Night); $500 for a VIP Gold Pass to all shows and the Master Class seminars, and $1000 for a VIP Platinum Pass which includes every single event throughout the festival calendar. Admission: Tickets to individual movies, Film Buff passes, week-long passes or tickets to other special events may be purchased online or in person at the Cinemark Memorial City Theatre. Click here to order tickets or for more information.